We live in a world where competition is fierce. It’s prevalent in all facets of society – the workplace, the dating world, and even in recreational sports. In many cases, competition can be fun and stimulating – but a lot of the times, it can bring out the worst in us. When we believe that resources are limited and scares, we feel compelled to fight against each other for it. In order to stay ahead of the pack, we feel the need to constantly look over our shoulder and watch what others are doing. It’s every man for himself. If we’re not aware of this thought process, we can easily slip into victim mentality every time we compare ourselves to people who seem to be doing better than us – people with better-looking bodies, more exciting careers, or bigger paychecks. Individuals who aren’t conscious of what’s going on within them can be become consumed by feelings of jealousy, envy and resentment. Jealousy brings out the worst in people, making them want to sabotage the happiness of others by stealing their careers, partners and money. They might even engage in backstabbing, gossiping, rude behavior, or anything that’ll put the other person’s success in jeopardy. What’s important to realize is that people who engage in this kind of behavior always end up hurting themselves the most. A compulsive need to compare oneself to another has a corrosive effect on our spirit and can drain our vitality and zest for life. It causes high-levels of anxiety and a loss of precious time, which could have been put to better use. I don’t believe that competitive people are vicious or evil in any way. I see them as being wounded and unaware that there are deeper underlying issues within them that need to be addressed. Beneath their frustration is a cry for validation and a deep need to feel significant in the eyes of others. 1. Get to the root of your pain: Our insecurities fuel our urge to compare. These insecurities may have developed in our younger years because of experiences that made us feel unworthy. It’s important to acknowledge this pain and heal it, either with the help of a counselor or self-healing techniques such as meditation, journaling or other holistic modalities. 2. Develop an abundance mindset: If we believe that there isn’t enough for everyone, we will constantly be on “alert mode”, ensuring that others aren’t getting ahead of us. Not only is this exhausting but it also blocks any kind of goodness from entering our life. According to the Law of Attraction, we will only attract prosperity into our life if we genuinely believe that there’s an abundance of opportunities out there for all of us. 3. Understand that everyone’s path is unique: Everyone comes into this world with a unique destiny and life path. 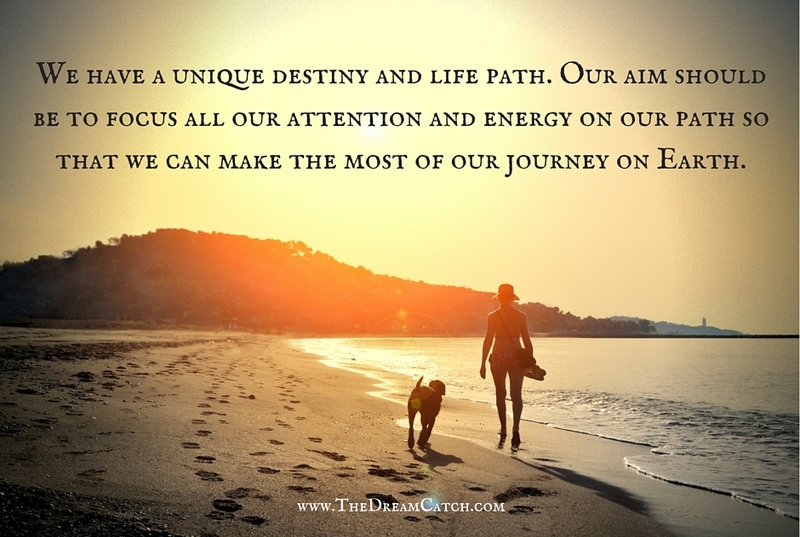 Each of us has our own life curriculum with individualized lessons to learn. For this reason, comparing ourselves to others is redundant and only distracts us from what we should be accomplishing in our own lives. 4. Set your own goals and standards: Instead of using others’ accomplishments as a benchmark for success, we can replace it with our own standards. We can set goals that keep us on track so that we become better than we were the day before. A lion has a majestic presence which intimidates almost all the other animals. It walks with pride and confidence because it knows how powerful and capable it is. It knows that it has the strength and competence to not only survive but to rule over any territory that it treads on. I believe that we all have an “inner lion” within us which we can unleash by sharing the best parts of ourselves with the world. Question for you: How often do you find you are comparing yourself to others? What steps can you take to stop comparing yourself to others? Oh gosh there is just so much that can be said about this Seline. I know I for one have always struggled with comparing myself to others around me, especially my friends. Why had I not found the perfect guy when all my friends were getting married and having kids? Why wasn’t I as pretty as my friends? Why was I not as popular as they were? The list went on and one and I was absolutely miserable. Reading this post has helped me shift the focus away from comparing myself to others and to getting back to living my own life. Very insightful comment Amanada. You’re most welcome and don’t forget to thank yourself for the amazing inner work that you are doing!